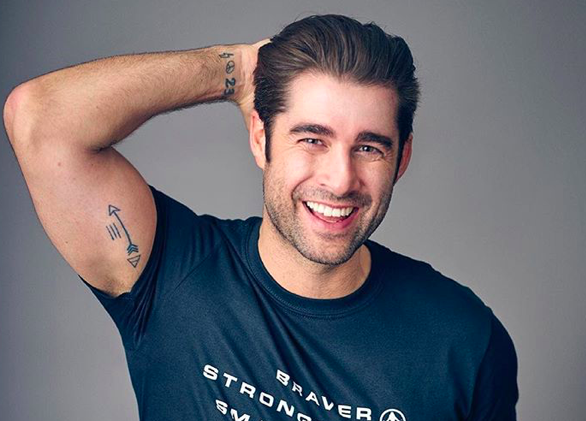 TV’s Matt Johnson talks in an article for Xpose.ie about his mental health ‘mission’and hypnotherapy. “There’s that dread that any minute, someone’s going to lift the velvet rope around the red carpet and kick you off, saying: ‘What do you think you’re doing here?’ I think I had a chip on my shoulder because I was a working-class boy and believed that people like me didn’t deserve good things. “My friend, Sophie Gradon, committing suicide was a pivotal moment which broke my heart. I think about her every day and her death has changed my attitude to life. At her funeral, I saw the complete and utter devastation of what’s left behind after suicide – no answers, nothing but an unfathomable amount of despair. It’s made me so much more driven and focused to try use whatever skills I have learnt through communicating and broadcasting to help prevent tragedies like hers. “We were close because we’d had similar problems. We’d talked often about her problems with anxiety and depression after I’d revealed my own in 2013. We knew each other eight years and she was a lovely, warm, caring, super-smart girl with an incredible aura.